The flavour of pineapple layered with lime soda that will surely make you taste its freshness. The thin pineapple slice ensures you enjoy inhaling it until its last drop. With its mild and fresh taste, this juice is created for your daily vaping flavour. Sold in a 10ml TPD Compliant Bottle. Nicotine Strength is ULTRA Smooth 20mg Nic Salt. Perfect for Mouth to Lung Tanks or Pod Systems. Note: We highly recommend that you avoid using ANY 20mg Nic Salt in a Sub Ohm Tank or dripper. Its a very intense experience not enjoyable. Tarot Baby Kit - Vaporesso The Vaporesso Tarot Baby Kit is a wonderful low profile mod and ta.. 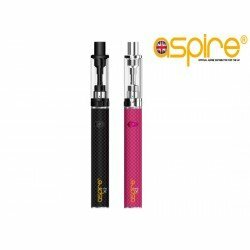 Aspire Breeze Kit FINAL REDUCTIONS NOW ACTIVE UNTIL STOCK LASTS The Aspire Breeze. The Breeze .. 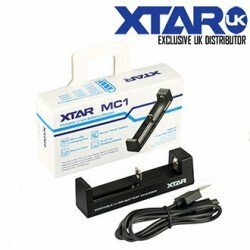 The XTAR MC1 Charger is extremely compact and portable. Ideal for travelling with and although .. 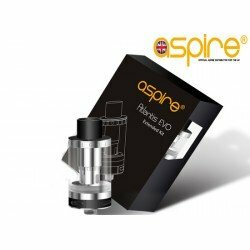 Aspire K2 Quick Start Kit The Aspire K2 quick start kit is a fantastic entry level kit for new us.. 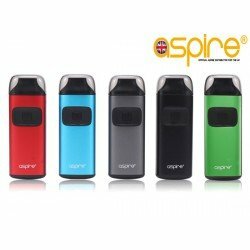 Aspire K3 Quick Start Kit The Aspire K3 quick start kit is a fantastic entry level kit for new us..